Our smart home devices know a lot of our personal information. Whether we intend for our personal data to slip through the security and privacy radars, it happens. The good news is that legislators are working toward protecting smart home device owners by regulating the tech industry. However, the industry is a bit unwieldly, and keeping up with the tech giants’ innovations is a hefty task. Recognize regulations, but don’t rely on them. Don’t rely on the tech companies. This should be one rule-of-thumb for all device owners, especially in the US. As users, we are protected by the required terms and services agreements. However, tech companies prioritize high quality, fast delivery, and a good price point well ahead of security and privacy. Europe launched the General Data Protection Regulation (GDPR), which has a tight controls over companies and their consent practices. The US is starting to follow in the EU’s footsteps, starting with a law passed last year in California requiring IoT device makers to make sure all devices have security features to protect user data. All of these devices give tech companies useful data. Tighter regulations will allow us as users to choose what information we share, or at least make us aware when and if our data is being shared. 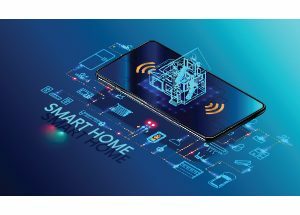 While there are many instances where it’s inevitable that you have to connect your IoT device to the ecosystem, it’s still important to be aware of doing so. Connections between smart home devices might give out more data than you want. That is why it is important to pay attention to which devices you use and how you use them. Another cautionary recommendation is to research a company before buying and engaging with its IoT devices. IoT device users, we run the risk of releasing our personal data. Paying attention and being intentional smart device users are steps in the right direction. But, as consumers, we can only do so much against the big techs.